Viviani sets sights on Sanremo and Tour in 2019 in a build to Olympic defense. 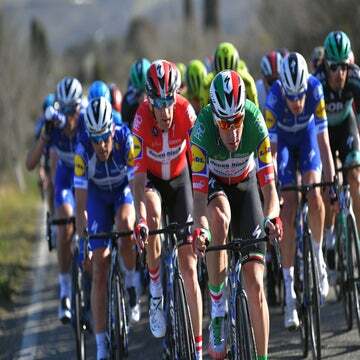 FLORENCE, Italy (VN) — Elia Viviani’s tears after losing the 2018 Gent-Wevelgem marked a turning point. Afterward, the sprinter led his new Quick-Step Floors team to Giro d’Italia and Vuelta a España stage wins and the Italian national championship title. He confirmed he made the right step leaving Team Sky one year early. “With those spontaneous tears after the second place at the Gent-Wevelgem behind Sagan … A new Elia was born there because I understood how much I care for this work and sport is for me,” he told La Gazzetta dello Sport. He stopped and began crying in Wevelgem after losing to Peter Sagan (Bora-Hansgrohe). Super-team Quick-Step Floors had a numerical advantage with Philippe Gilbert, Zdenek Stybar, and Yves Lampaert. It bet on the sprint, but Sagan snuck by in the last meters. Viviani repaid the team at home. The team gave him its full support in the Giro d’Italia, something he could not have when racing for Team Sky. He won four stages and everything seemed to change. For 2019, Viviani wants to make another step ahead in the classics and the Tour de France. “It’s my main goal to win Milano-Sanremo in 2019. It’s probably the only monument I can win, so I’m going to work very hard to get there,” he told Sporza after winning the Gent Six-Day with Iljo Keisse on Sunday. The Italian monument is scheduled for March 23 in 2019. Gent-Wevelgem comes one week later. Colombian Fernando Gaviria gave Quick-Step Floors a day in the yellow jersey and won two stages this summer in the Tour de France. 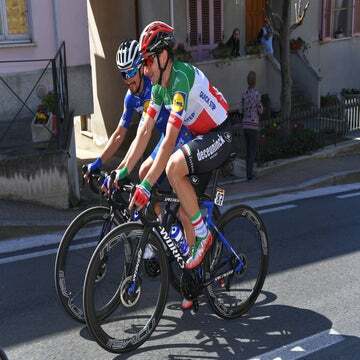 Now that he is signed with UAE Team Emirates for 2019, Viviani’s path is clearer towards a Tour debut. Viviani is also aiming for the 2020 Olympics, where he wants to defend his Omnium title in Tokyo. He is also racing the upcoming Berlin and London World Cups with the Italian pursuit team to give himself another possibility in the Olympics.